I could write a really long post about Victoria’s current raw milk debate debacle, but I’m going to keep this short and to the point. The facts of the case are that there has been a tragic death of a child some months ago from Haemolytic Uremic Syndrome (HUS), which can potentially be caused by a strain of e coli that can sometimes be found in raw milk amongst other sources, such as undercooked beef mince or from contact with farm animals. Three or four (media reports have varied) other children also became ill but recovered. 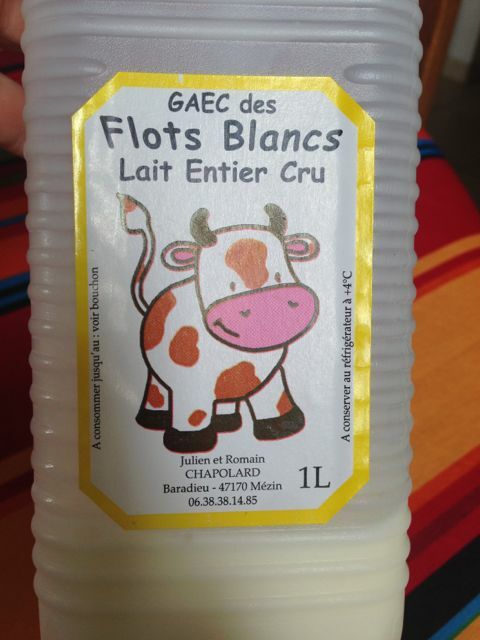 Some reports claimed all had consumed the same farm’s raw milk, others have claimed there were multiple brands. What the media has not made at all clear is that these families all drank raw milk but there is no conclusion yet that raw milk caused their illness. And while that is still a possibility, the trial by media without a coroner’s report has been appalling. Raw milk is legal and regulated in most countries in the world, including 30 states in the US and New Zealand, who are even regulated by the same body as Australia (Food Standards Australia New Zealand) but who have a different rule on raw milk. It’s sold in vending machines in Europe (and I recently heard in NZ as well?). As of 1 January 2015, Victoria requires the addition of a bittering agent (something used in anti-freeze?) to make so-called ‘bath milk’ (that people have been drinking for years here) too unpalatable to drink. There are producers who are now unsure whether they can even sell their product – I can’t imagine the financial straits this Government’s rash decision may have put many into. I think it’s unconscionable for a government to make a decision that affects people’s livelihoods without public consultation or even waiting for evidence. 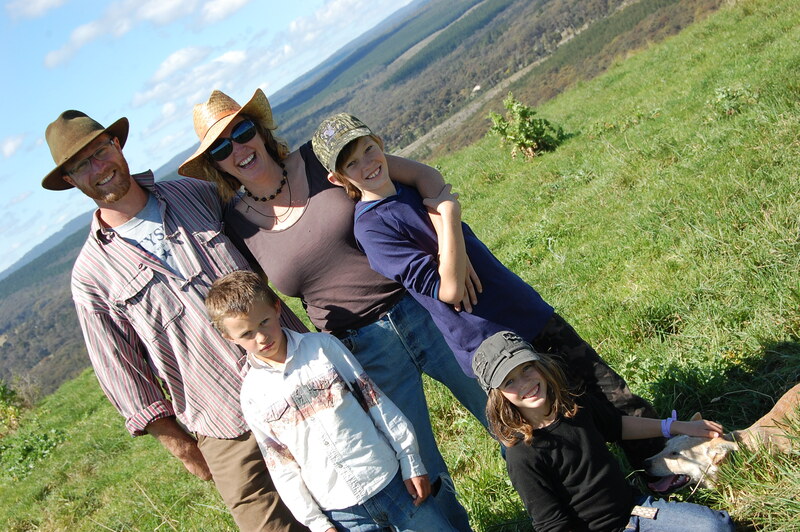 I am a free-range pig and cattle farmer at Jonai Farms & Meatsmiths in central Victoria. It is in this private and business owner capacity that I write to you. As farmers with an on-farm retail butcher’s shop, we are regulated by our local council, FSANZ, and PrimeSafe as well as DEPI and of course the Department of Health. Taking control of the supply chain and doing our own further processing has made all the difference for us as small producers. It is the difference between running a loss or being a viable, ethical enterprise. And we are but one of many in the growing fair food movement – these innovations in local food production are everywhere and government must rethink legislative frameworks that were developed for long, industrial supply chains to protect consumers from invisible production and distribution systems. We are currently building a curing room and commercial kitchen alongside our butcher’s shop in order to do more value adding of our pork and beef, and will soon seek our licence to make salami – classified as a high risk food. There are stringent regulations to ensure we and others in Australia manufacture, store and transport our produce safely, and as you know Australia performs very well on public health and food safety. As have many others already, I write to urge you to reconsider your recent move to make the sale of raw milk illegal in Victoria. Prohibition has a long and demonstrated history of failing to meet its objective of protecting public health. And how far will you have to take the prohibition – will you ultimately ban smallholders and dairy farmers from drinking milk from their own cows? To what purpose? Suppose you instead took food safety as seriously as you profess to and treated raw milk as carefully as other high-risk foods such as meat and eggs (and pasteurised dairy)? Just as it’s done in many other countries, where herds are tested, milk is batch tested and strict temperature controls are maintained. Some also have restrictions on the distance the raw milk can travel before sale in recognition that risk increases over time. I would urge you to read the recent Johns Hopkins University report on raw milk. While they conclude that they can’t recommend drinking raw milk, the report paves a way for compromise to protect those who will continue to produce and consume it. It is in nobody’s interest to force the production or consumption of it underground, which is a guaranteed outcome of prohibition whether you like it or not. History has much to teach us if only we pay attention. 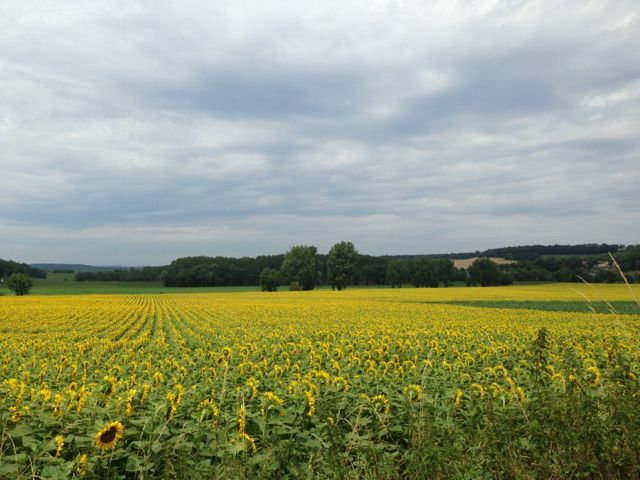 Driving through the French countryside over the past two weeks, I was constantly struck by the smallness of the farms. Having driven plenty of rural routes in Australia and America, I’ve seen what monolithic monocultures look like, and it’s a very different vista from the French farmlands we passed. 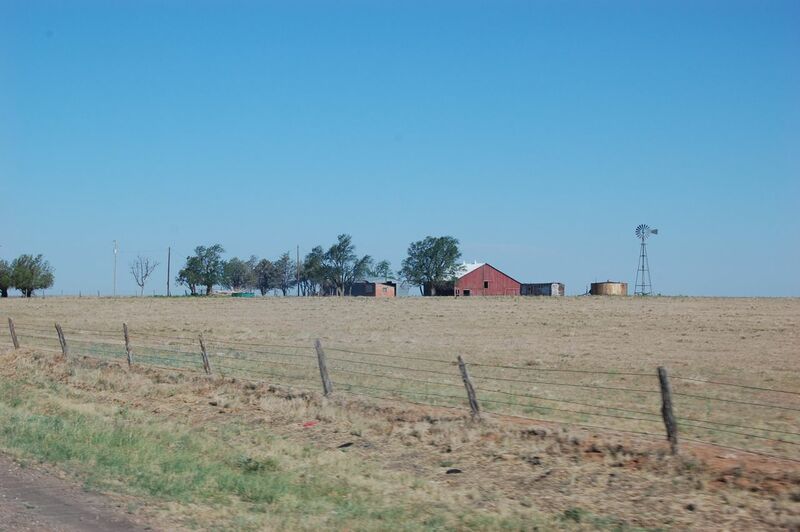 Where in America or some parts of Australia there might be hundreds or thousands of acres of the same crop blanketing the land (less a blanket than sheets of pesticide-laden plastic wrap robbing the very soil of its breath), in France each paddock is defined well before the next horizon. Patchworks of corn, sweetbeets and cheery sunflowers roll diversely amongst copses of forests old and new. The patchworks are seamed together with kilometres of byways that run through countless small villages, the charming life-story embroidery of generations that warm the countryside. Even the dairy herds are small – we regularly saw paddocks with 20-40 cattle in them attached to what we would consider a micro-dairy in Australia. Given the very different regulations around raw milk, it’s perhaps unsurprising how many of these small dairies are able to maintain control of their supply chains and sales. The dairy paddocks are typically dotted with compost piles around the boundaries, as the most environmentally and economically sustainable means of fertilizing the paddocks is to collect the cattle’s manure and compost it on the farm. Happily I’ve seen some resurgence in these practices in Australia, with examples like Camperdown Compost helping dairy farms close the loop and reduce synthetic inputs. The countryside is also dotted with pigeon towers (or dovecotes…), where pigeons were once grown for both their meat and their excellent fertilizer. While I don’t think many are still in operation, they tell a tale of a time before exploitation of the world’s finite phosphate supplies led to our current system of externalizing environmental costs. 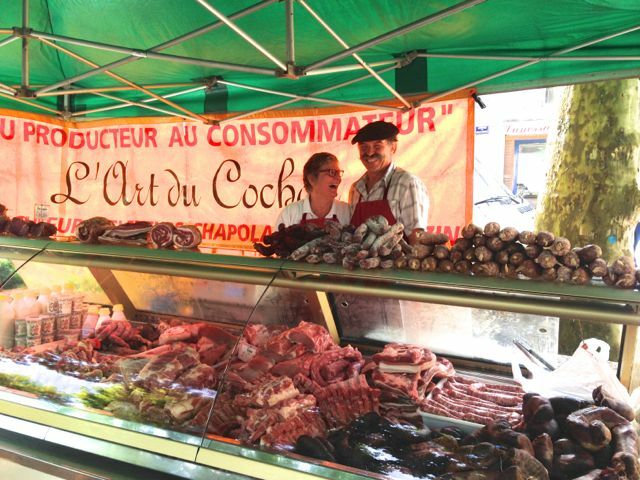 A great example of working in agro-ecological ways is the Chapolards’ farm near Nèrac – they call it short circuit, or full circle farming. We spent time with the wonderful Dominique & Christiane Chapolard, where along with Dom’s brothers and their families they run a ‘seed to sausage’ pig farm. They grow nearly all their own feed for the pigs on their 100 acres, where they have 30 sows. Effluence is stored in an on-farm lagoon before being applied to the fields growing maize, fava beans and grains in rotation. They do all their own butchering and charcuterie making on the farm and sell directly through their local farmers’ markets – and the enterprise supports five families. The next generation of Chapolards is also involved in the business, and one of Dom’s nephews Roman Chapolard has added another enterprise on the farm – a full-circle dairy. He runs 40 head of dairy cattle and packages his milk on farm as well as doing some simple further processing such as yoghurt and crème fraiche to sell at the local markets. The capacity to value add and sell directly obviously enables farmers to remain much smaller than if they’re forced into long supply chains where everyone gets a smaller cut of the dollar. I understand this not just from a fair food advocate’s perspective, but also from a successful small producer’s view. 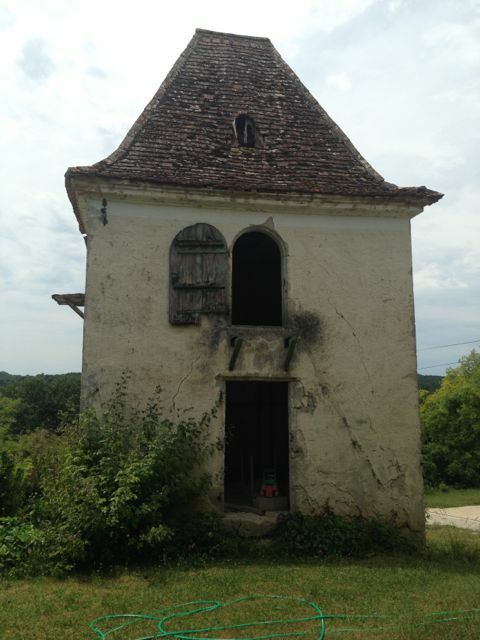 And while France may have millennia on which to have grown these communities and sewn them together, a key point is that they still maintain them and enjoy the benefits of thriving rural communities as a result. Dom and Christiane shared their concerns with us that the next generation is losing interest in manual labour, and leaving the land for white-collar professions, following a trend seen the world over. We all agreed that if people like them keep up their political work within and beyond their cooperative, and spreading the word at the markets, there is hope that the fair food revolution will gain strength in France just as it is growing in Australia, which started off skiing along in the wake of America’s food revolution (though I think we’re set to drive our own boat now). When you lose family farms from the land, you lose families from communities. Australia’s farming statistics on the decline of the family farm mirror the decline of our rural communities. We should be very worried about this loss and its ramifications for not just the quality of life of rural Australians, but also the quality of food produced in large, intensive agriculture. 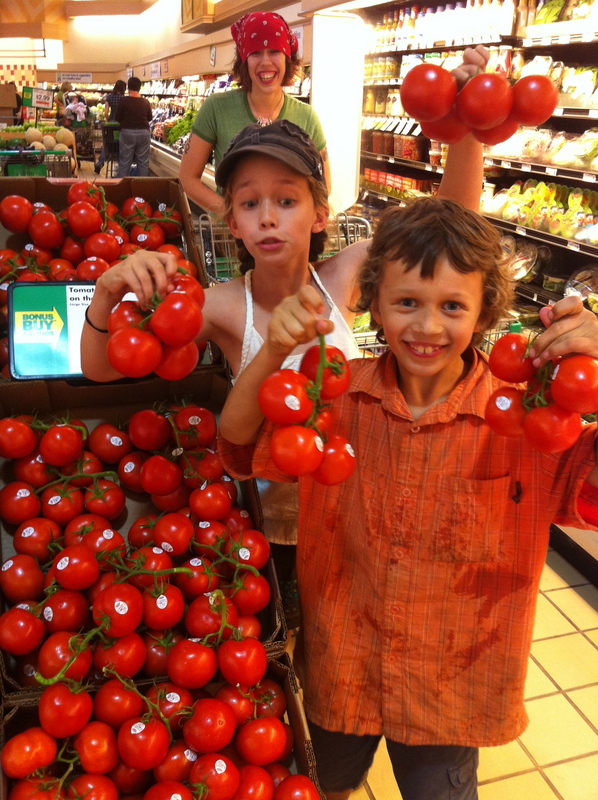 We need to value the many environmental and social benefits of families growing food for families, rather than corporations growing food for supermarkets where families happen to shop. It’s time for a Local Food Act! Alex Herbert was the chef and owner at the wonderful Bird Cow Fish in Sydney, and now sells ‘breakfast and stuff’ at the Eveleigh Market. I first discovered her offering little morsels of food ethics in 140 characters or less over on twitter, and had the pleasure to enjoy a meal from her delicious local, sustainable, ethical menu before she closed Bird Cow Fish. This is a talk Alex posted on Facebook yesterday that struck me as a beautiful reflection on the meaning and value of local food, and a great contribution to the discussion here on Food Ethics. You can follow Alex on twitter where she’s @birdcowfish. I was asked to give a little talk at the Sustain Northern Rivers Forum the other day. It went something like this…. There was a young woman called Sarah, say in her early thirties who had taken up the practice of ceramics many years before. She had been taught by a master and had acquired rapidly diminishing skills. Her work was unique. She had held down several jobs at once to try to make ends meet but she had now decided that she wanted to concentrate on her ceramics full time and pass on her skills and knowledge. She was faced with the new challenge of trying to make a living solely from her craft which she had studied and practiced for many years. She created a series of beautiful plates but when it came to deciding what price to sell them for she was at a complete loss so she asked the advice of a friend. This friend knew nothing about the value of ceramics but she responded with a series of questions. “Now tell me how many weeks a year do you wish to work? “I’d like to have four weeks off a year. “How many days per week do you wish to work?” Well I would like to try to only work 4 days per week. So you need to make $340 dollars per day after costs. How many plates can you make per day? I could probably make 10 plates per day by the time I do all my other stuff and each plate costs me about $10 in materials. The young woman was shocked. She thought no one will pay that for my plates? The Food Industry like the Arts is one that is built upon a whole heap of passion. All the way along the Food Chain we can hear the wonderful stories of how people came to be involved in it. And when I speak of the food chain I am referring to all the elements that link the food from the farm to the table. Many are born into the family business whilst others like myself seemingly fall haplessly into it then only later realize that the love as in my case for cooking was in fact always there bubbling away below the surface. Of course there are two parts to the Food Chain. There is the Boutique and the Mainstream. Each however faces the challenges of “sustainability” which I will take as meaning being able to survive economically, socially, environmentally and politically. One of the problems facing many “ Boutique” producers is just how much do many subsidise their product through their passion. How many days a week do most small business owners work? One of the questions that hang over more mainstream, commercialized operations is just how much are other factors such as the health of the land and its people subsidizing the product? The horror stories of Indian farmers taking their lives because of being locked into seed contracts with Monsanto despite failed crops and escalating debt is an extreme but real example of what can go terribly wrong when profits are put before everything else. So despite these two extremely different scenarios one question is still appropriate to both. What is the True cost of food? What are the long term risks that we face? Well we know that farmland is getting scarcer. The lure of property dollar value can be an overwhelming temptation especially when viewed alongside declining margins and the fact that many of our children would rather work 9 -5 on a good weekly wage than become their hardworking parents. So we are losing land and skills that are going to be almost impossible to get back. Well we can try and take responsibility for it. We are all part of the Food chain some as producers and distributors but we are all consumers. I am sure there is some old saying that goes something like “good housekeeping starts at home”. The title on today’s invitation read “Keeping our food local”. I would like to propose that it is even more important to “Keep our Local Food”. I had dinner last night with two friends, Pete and John. They were amongst my original Eveleigh Market customers from over four years ago when the market first started and now they live in Byron. They moved into their new house in March of this year. Within a few weeks of moving in they noticed that they had a lot of bees at the back of the house. As the bees swarmed their suspicions were aroused. Finally they found that the wall of the upstairs bedroom was very warm. Very, very warm. So they searched down a bee keeper. Yari was found and confirmed that there was a hive between the outside brick and inner plaster wall. The bees had to go. A fumigator could have done the job but fumigation would have also left behind a trail of dead bees and honey locked away forever. Yari however offered to remove them and so he was engaged to perform the daylong task of rescuing the bees and their honey. Bees are precious. We know that they play a crucial part in the pollination process. Yari knows this but he also just loves bees. The bees now live in Nimbin. Over 10kgs of honey comb was gathered and shared from a hive that had been growing for years. Peter has wonderful pics of everyone from the day sitting around diving out the honey comb. The wall has been plastered up. Yari returned for two more visits following the initial rescue to collect the straggler bees. Small swarms of bees collected over the subsequent days. Peter has pictures of them attaching themselves to the wall where the hive used to be. Hiveless, Queen less bees. It was so sad. Yari managed to collect many of these but the remaining died. 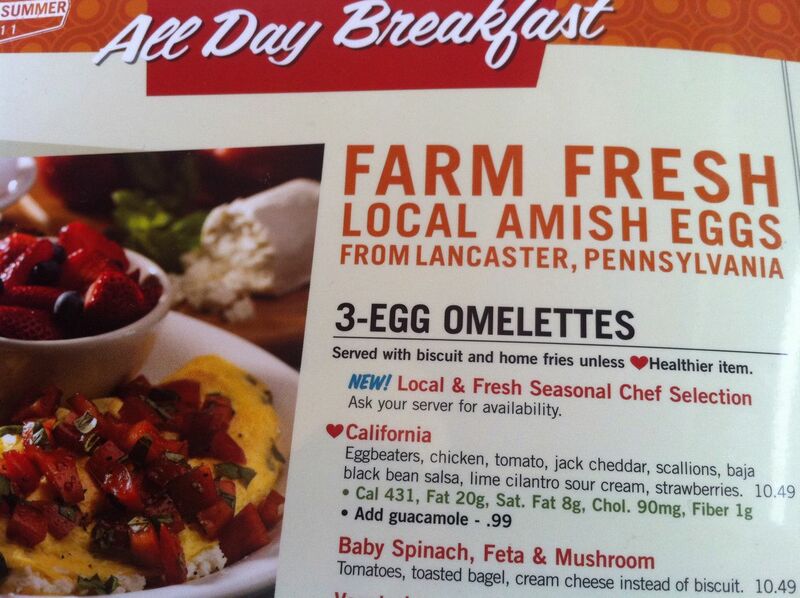 So this is a pretty good example of local food right? It’s a really good example of preciousness that had no money value attached to it. ….Priceless in other words. How do you put a $ value on saving some bees and sharing some honey? When I had my restaurant Bird Cow Fish I held many Regional Food and Wine Dinners. They were wonderful dinners where we were able to showcase producers and products that weren’t ordinarily available to us. These dinners along with having been a Delicious Produce Awards judge for the last three years has exposed me to many wonderful local foods. So here is my take on local food. On a micro level it is imperative that we support out local producers but I do not believe that it should be at the exclusion of other “local foods”. I’m not an exponent of the 100mile ONLY rule. Sourcing, selling and eating local foods means we are more likely to have a direct relationship with those who have grown it. We are more likely to know their story. We are more likely to place greater value on that product simply because we are connected to it. Supporting local food provides these producers a base from which to build from. It can create an acknowledged Food Bowl, community of collaboration and support. Supporting local food also means that the elements in the food chain are reduced. The less hands involved in the process generally means the smaller the gap between what the primary producers earns and the final cost of the sale product. That being said I also believe in supporting all local foods and not just those that are local to me (easier said for me as I live in a city). But the reason for my thinking is not just because of my circumstance but because diversity is important as is promoting regions who specialize in certain foods. The sustainability of many producers’ business means that they cannot limit themselves to only supplying a local market. Finding a like minded distributor can be the key. Feather and Bone in Sydney are an excellent example of a distributor who works with his producers to educate and distribute the product. But transportation and logistics are a huge challenge. I remember on of my dinners The Hilltops Region in NSW with Brian Freeman’s wines I wanted to use this magnificent Texel lamb. I did eventually get it but not until bob had dropped it at his mates place Len who then took it to Max at the pub and then Joan his wife who was driving to Sydney delivered it to me. The most gorgeous lamb that was being sold at the local supermarket with no hint of its origins or quality. Wendell Berry, a highly regarded writer and farmer who lives in Kentucky in the US said “Eating is an agricultural Act”. I think that one of the main keys to local food is not just supporting what is local to you but also wanting to know the story. Where has my food come from regardless if it is from over the fence or across the river? What makes it taste so good? Why does it perhaps cost more than other like products? What makes it valuable? These are questions as a chef that I am used to asking my suppliers. I now cook breakfast and stuff at the weekly Eveleigh market in Carriage works at Redfern in Sydney. I am surrounded by producers. The products that I use in the food that I produce are all sourced from the market. My customers ask me all the time whose eggs do you use? Whose bread? Whose milk? Just as much as they ask me HOW I made something. They are interested in the stories like the wonderful collaboration between John Fairleigh from Country Valley Milk and Pierre from Pepe Saya butter who uses his cream. These two me are a wonderful example of how local producers are working together to value add to their products, educate the end consumers and have a lot of fun along the way. I firmly believe that education is the key. Educate people about the product and how to use it. “To cook or not to cook” perhaps that is the question? For me as a chef I agree with Pollan. I believe cooking is empowering. It means that I am in control. I can feed myself and my family. But this food security is dependent upon being able to source food locally, regardless of where I am. The value of being able to shop for locally produced food, the value of being able to cook, the value in sharing a meal are all part of belonging to a community. Its hard to put a dollar value on these attributes but one that we need to if we are going to preserve them. So back to our lady friend Sarah who wanted to make plates. She realized that if she wanted to make her plates for a living that it had to be sustainable. She had to be able to support herself. She couldn’t just do it because she was passionate about it. She had to understand what the true cost of her time was in the making of the plates. She had to appreciate and value the time and energy that she had put into learning her craft over many years. She had to accept that the market for her plates was probably going to be quite small as she was only a very small artisan producer and could not compete with the larger, industrialised producers of similar but not the same plates. New markets could be found but only through communicating her story to a wider audience. She needed to educate them as to why her plates were so special and worthy of their price tag. And when she did all this suddenly her plates didn’t seem so expensive any more because she had taken into account their TRUE value. PEOPLE, THERE’S A PROBLEM. THERE ARE PROBLEMS. But how do we solve them? Let’s step back for a moment from immediate and pressing concerns around seasonal, local, organic, safe, fair, humane food, and consider the confusing array within an ethical framework, such as one that the fabulous Cristy Clark has called ‘ecotarian‘. All of our concerns about the industrial food system can be better understood (and so addressed) if we are led by a coherent ethical approach, rather than atomised ‘problems’. According to Socrates, people will do what is good if they know what is right, and therefore be happy. But how can we know if we can’t see the means of production of our food (and myriad other items we consume, even if not corporally)? If we ask ourselves ‘is this organic?’ we are wondering whether there are synthetic, artificial inputs in the form of harmful pesticides or fertilisers, but we haven’t asked ‘how far did it travel?’ or ‘how much were the workers paid?’ We may in fact also be worried about food miles, workers’ conditions, and the treatment of animals, but ‘is this organic?’ didn’t open up the space for those other concerns. The same is true of ‘is this free range?’ or ‘is this GMO?’ and many other such questions about the history of our food before it gets to our plate. But when we ask ‘was this produced ethically?’ we are required to think about ‘is this right?’ and ‘is it good to eat this?’, which requires consideration of the environmental, social, cultural, political, economic, and physical impacts of our choices. We must consider the entire ecology of the choice – and I include human welfare in my definition of ecology here. If we take an ethical approach, and in particular the hedonist ethic I have spent some years trying to understand and follow, then a narrow focus on food miles, organics, or heritage breeds is too limiting. These are the cornerstones, the seeds if you will, that make for a fecund garden of ideas to nourish a healthy world. But on their own, each one is but a luscious zucchini, a wayward tomatillo, a cheeky piglet. An overarching, well-articulated ethic is to local potatoes like permaculture is to veganism. We need systems thinking – what are all the constituent parts? Who are the key players in the system – the seeds, the nurturers of the seeds, the carers of the seedlings, the micro-organic activity of the soil in which the seeds grow, the people who want to eat the zucchinis and all of the potential players in the web of those who will see that the produce makes it from paddock to plate. Choosing to eat organic, local, seasonal, free-range, fair-trade or vegan diets are all legitimate and important parts of changing our food system, but on their own, they don’t address systemic problems. But the problem with following an ethic in today’s world is that the supply chain – that long set of links that goes from the production and harvesting of food through to the processing, transport and sales – has grown so long and obscured that you can find yourself eating horsemeat when you ordered beef. Join me over the next few months as I explore how to demystify the supply chain and participate in transforming our food systems, from production right through to consumption. And welcome my new title as I re-launch this long-running blog as Tammi Jonas: Food Ethics today – it’s not just me tasting terroir, it’s all of us. 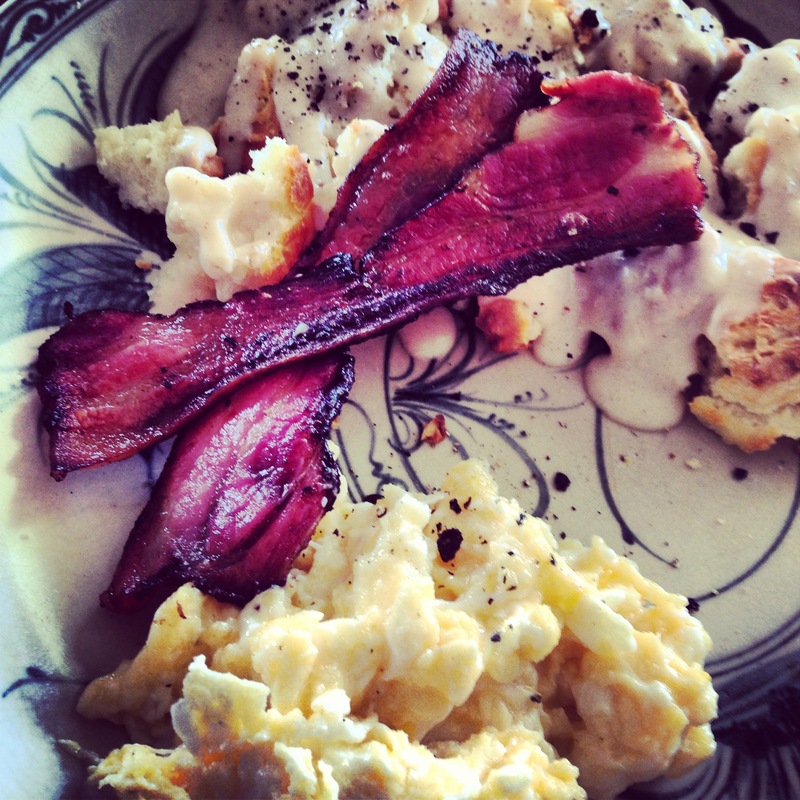 A decadent staple brekky in our global repertoire of extravagance is bacon & eggs, biscuits & gravy. My Dad is from Alabama, and taught my Mama (from Oregon) to make this when they were first together, then pretty much never cooked anything ever again, except a mean barbecue. For those looking for your nearest free-range pig farmer, I compiled an Australia-wide list a few years ago. Flavour Crusader also has a list that may be more up to date than mine! Pre-heat the oven to 180C. Either oil a baking tray or line it with baking paper. Spoon out the amount of dough for the size biscuit you prefer – in our house, that’s usually about the size of my palm or a little smaller. Make sure they’re relatively equal in size so they cook evenly. Bake for 10-15 minutes, depending on your oven. I usually turn them around mid-way through cooking as my oven is hotter at the back than the front. The best gravy is made from bacon grease (otherwise it’s really just bechamel!). In the American South, there’s a huge variety of gravies, from a straight millk gravy through to one introduced to me by the gorgeous Gabriel in Oxford, Mississippi – red gravy – which is made with tomatoes. The core ingredient seems to pretty much always be bacon grease. The simplest though, and the one we make the most often, is the one Dad taught Mama to make when they were first married. 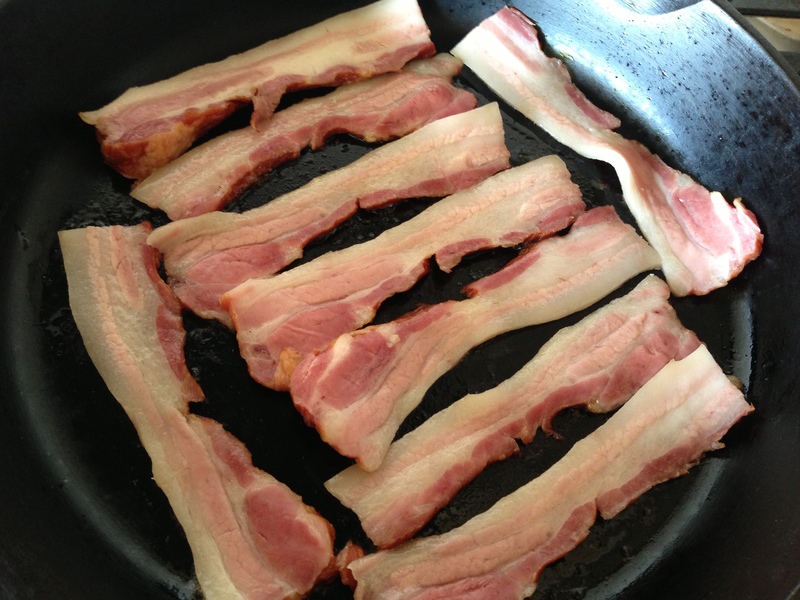 While the bacon grease is still hot in the pan from makin’ bacon, add flour and stir until it browns lightly. 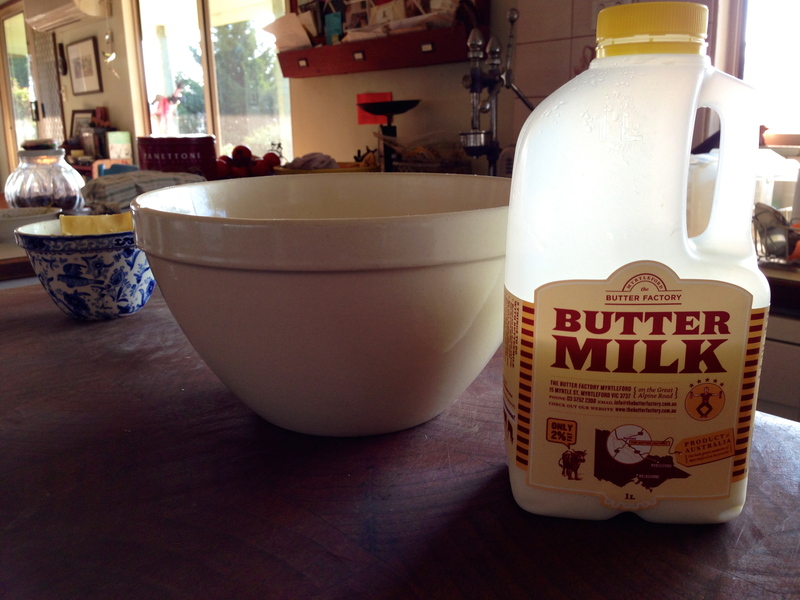 Add warmed milk and stir continuously with a whisk until it thickens. Season to taste. Serve in a jug or bowl with ladle – your choice. In our house, some of us like to break up our biscuits and pour the gravy over the top. Others pour the gravy on whole biscuits, and some of us even break up our bacon and sprinkle it through the biscuits and gravy. Personal preference rules! 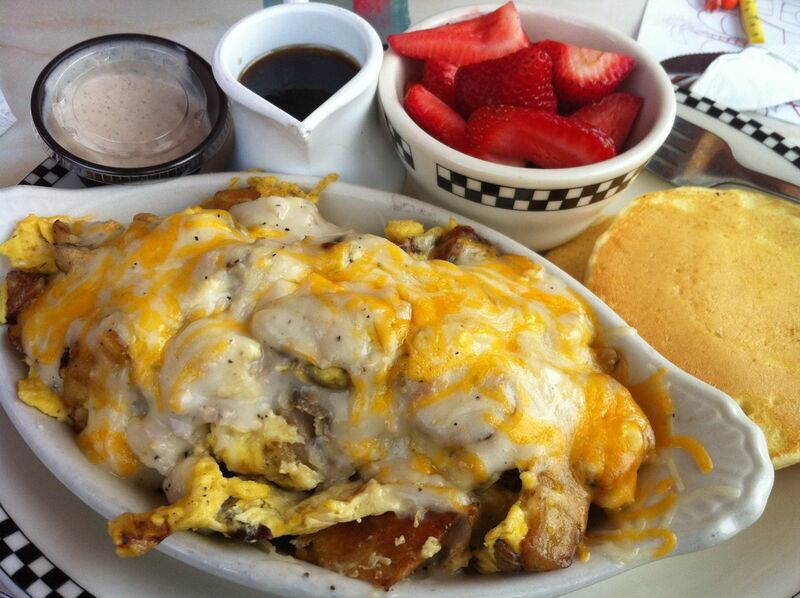 We almost never have biscuits and gravy if we aren’t having bacon and eggs – these things are made to be eaten together! In 2010 it was sourdough. This year it’s meat. My journey into the world of breadmaking resulted in a life of no bought bread, and I anticipate this year’s meat venture will do the same. In short, if we haven’t raised or caught the meat ourselves, we won’t be eating it at home. As those who’ve been here before already know, I was a vegetarian for seven years and now I am a free-range rare breed pig farmer along with my hypercompetent husband Stuart and three orsmkids. I was not a vegetarian because I thought humans shouldn’t eat non-human animals. It was because I couldn’t bear to be complicit in the realities of industrial meat farming – ‘Concentrated Animal Feeding Operations’ or CAFOs, where animals are never given the opportunity to dig, scratch, munch on grass and otherwise express what Joel Salatin calls ‘the pigness of the pig’. I don’t want to make animals suffer throughout their lives so that they can end up on our plates, and nor do I want to participate in the environmental degradation caused by intensive systems. So when I came back to meat, I stuck with ethically raised, until ultimately we decided to take our ethics and our advocacy to the next level by becoming producers ourselves. So as smallholders, we are in the luxurious position of being able to raise our own animals as part of a healthy agroecological system, whereby some of them are for sale for the economic viability that allows us to live here, and some are for our own consumption. The pigs are our tractors, efficiently turning the soil in preparation for the next season’s fodder crop (and for our expansive vegie garden), the sheep and cattle manage the grass growth and keep our paddocks healthy and safer from fires, and the chooks convert our kitchen scraps into a plentiful supply of eggs (and we eat the excess roosters). On our 69 acres, we’ll ultimately have about 10 rare breed Large Black sows, two boars and an ever-fluctuating number of weaners and growers, and then we also currently have a dozen Lowline Angus cattle and seven Lincoln sheep. The very awesome Ellie also just brought us about 100 rainbow trout fingerlings that we’ve put in the Home Dam and are hoping won’t be eaten by cormorants… and then there’s the ever-expanding flock of heritage and common chooks. We will, of course, be slaughtering pigs regularly as that’s our primary farming business, so I think there will be a ready supply of pork, both fresh and cured. However, we tend to serve lovely pork roasts only for gatherings here on the farm, and we eat mostly cured pork in small doses as a flavouring for otherwise vegetable-based meals, plus the occasional sausage. In short, just because we’re pig farmers doesn’t mean we’ll be binging all year on pork. Our aim is to slaughter about one cow per month and sell the meat locally, which will also mean we’ll have access to beef when we want it, but I’m going to record our consumption and we’re aiming to basically eat one cow this year. With the sheep, we have one ram and four ewes, all of whom had their first lambs last winter. One had twins who died of exposure the first night and another was killed by either a fox or more likely, our dog Maya, who sadly had to be put down as she was a menace to small animals. 🙁 That left us with just two lambs, a ewe and a ram (which Stuart castrated so is now a wether). As our original ram is not the father of the ewe lamb, we’re keeping her so we’ll have one more breeder, leaving us with just the wether to eat. And so what might have been as many as five lambs to eat this year was reduced to one, and that is what we’ll eat. It’s these vagaries of supply that we lose touch with when our only connection to the meat we eat is through the butcher or the supermarket. Have you ever thought about how many lambs it took for your annual consumption of cutlets? Chicken thighs? Pork belly? And who eats all the parts you don’t like or know how to cook? I’ll be in a much more knowledgeable position as the year progresses to tell you what a smallholder can produce for home consumption in a year, and also which cuts become the real treasures when they’re only enjoyed once or twice in the entire year. Roast chicken used to be an annual event, not a weekly one. And there’s a good reason for it – it’s bad maths (in both global and domestic economies) to eat too many chickens, and good maths to eat lots of eggs instead. We won’t be killing the goose, we’ll be collecting the golden eggs. Only surplus roosters that grow from eggs hatched by the broody bantams will be eaten here on the farm, which means very little chicken in our diet. And when you think about how many lives we take for consumption, one cow goes a hell of a lot further than a chook. An exciting aspect of this adventure is that I’ll be butchering whole carcasses myself with Stuart’s help. I figure I need to so that I understand the cuts better before sending subsequent carcasses to the butcher with my cut sheet so we can have confidence in what we sell. I butchered our first pig last month and it was fascinating and extremely useful to understand more deeply how many pigs it takes to sustain a household of omnivores. Next up is a cow, which I’ve been sternly warned to have quartered at the abattoir to make it possible to handle! In short, I’m hoping that through our year of what we propose will be a sustainable amount of meat eating in an ethical, smallholder system, we’ll be able to demonstrate how much meat (and the diversity of cuts and animals) is sustainable for the planet and its many inhabitants. We expect to continue our habit of roughly 50% vegetarian dinners, and of course small portions of meat at omnivorous mealtimes. In fact we’re starting the year with nothing but a slab of our bacon in the fridge as we wait for the next slaughter, so are looking at a purely vegetarian couple of weeks, which is fine with us, and a great season for divine salads full of nuts and berries! But you don’t have to live on the land to eat like you do. Hopefully this will be a model for city dwellers and country folk alike, because we’re all living on the same planet. Here’s to a tasty 2013! The following is the speech I gave as the final speaker for the negative at a debate last week at the Lake House, ‘The Food Revolution is a Big Fat Lie’. On my team were Necia Wilden and Michael Harden – on the affirmative there were Dani Valent, Janne Appelgren and Richard Cornish. It was a rousing debate followed by a predictably delicious country-style meal put on by our host, the wonderful doyenne of the Daylesford Macedon region Alla Wolf-Tasker. Comrades and colleagues, I’d like to continue the excellent work of my fellow revolutionaries here on the opposition, and tell you a bit more about this revolution that is everywhere, and that we must win lest we abandon our children’s hope for a future. As Necia has already mentioned, here we have Stephanie Alexander’s Kitchen Garden Foundation – and Waters’ and Alexanders’ efforts are certainly not restricted to the middle class – Waters’ program started in the disadvantaged schools of Oakland, California, and Alexanders’ took root in inner-city Collingwood, and has now spread as far as the remote communities of Bourke and Coober Pedy. The international Via Campesina peasant movement has been around for 20 years and is still gaining momentum. Currently they’re uniting to fight against land grabbing by the World Bank and Wall Street in countries as diverse as Honduras, Mali, Italy and Indonesia. In India, Vandana Shiva’s work over the past two decades is legion. “I don’t want to live in a world where five giant companies control our health and our food,” said Shiva, and so she started a food revolution in India in 1993. Shiva’s foundation, Navdanya, trains farmers in seed saving and sustainable agriculture. The first farm we visited was in fact Polyface, which I’ve already detailed. 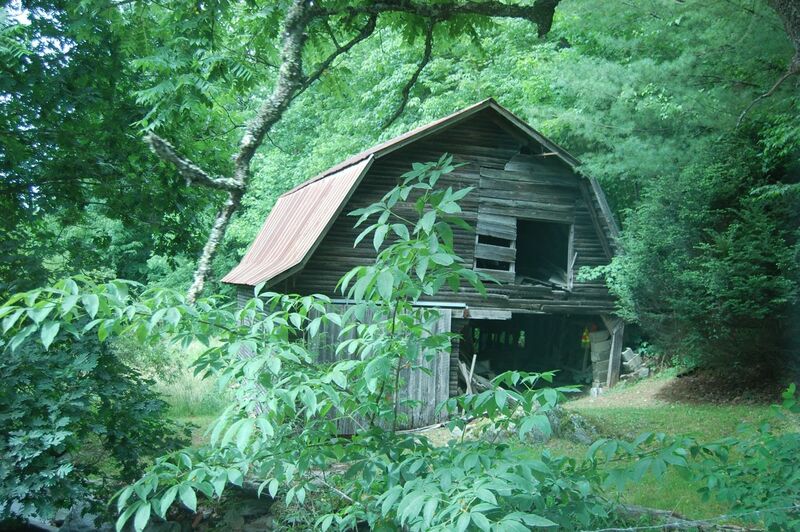 It is a wonderful place, and an inspiration to many new and aspiring farmers such as ourselves. Salatin is not just farming, he’s also combating complacence and acceptance of industrial agriculture as normative through his many books, workshops, and what seems like a lot of time on the lecture circuit. I recommend reading a great post over on ‘Good Cooking for Hard Times’ that outlines some of the consequences of our faith in industrial ag and gives further detail to Polyface. But I should begin at the beginning. 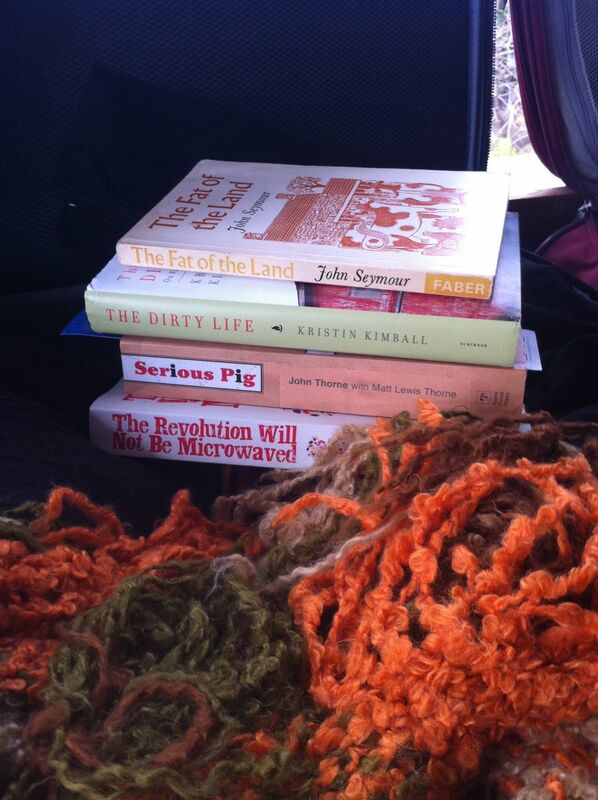 For Road Trip USA, we packed the essential reading for our continued research into sustainable farming, then prepared ourselves for the Land of Processed Food. When we encountered initial difficulties with the RockVan, you can imagine our surprise in the rather uninspiring town of Springfield, Virginia to find a little diner promoting itself as ‘Farm to Table’ just around the corner from our freeway hotel. Turns out the Silver Diner is a regional chain that is ‘locally owned and operated’, and while it’s nice to see the interest and effort around sourcing produce locally, I’m really not sure about the ‘natural’ claims nor their ethical credentials after checking out their egg and milk suppliers. The food we were served fit the bill of most chain fare in the States – large servings smothered in cheese, tasting of, well… fat. Vegetables were in short supply, the pancake breakfast managed to look as though there’s nothing local or natural about it – just what people want, right? I don’t want to knock Silver Diner for trying, but I was struck by how the commercial imperative to cater to the mainstream desire for sameness and quantity seems to be hampering their efforts at really tapping into the ‘farm to table’ movement. Less generously, these people are opportunists dressing up (relatively) local produce as ‘natural’. But that’s just the first day. As we’ve traversed thousands of miles across this vast, beautiful country, two of our most common interactions with food and agriculture have been amongst farmlands and supermarkets. Restaurants, while revealing what people eat outside the home, don’t tell you as much about their everyday existence as supermarkets do, and while supermarkets completely obscure their products’ sources, just drive through rural America and you’ll see the often-sad source for yourself. 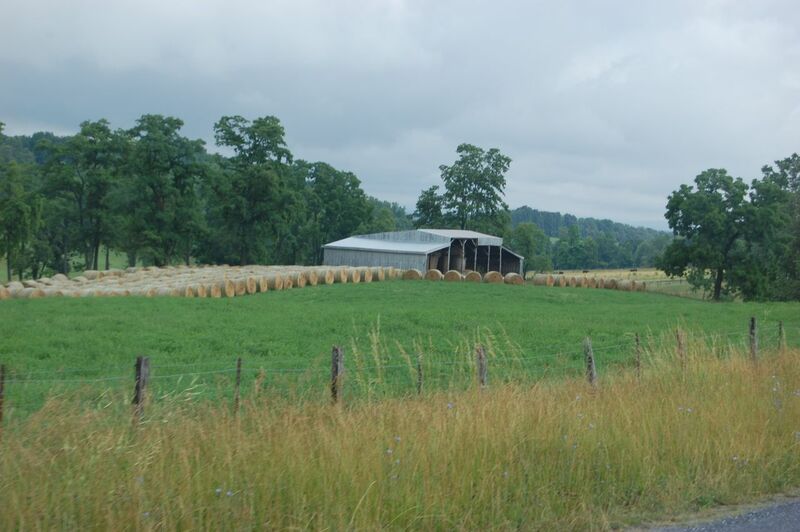 Much of what we’ve seen evokes a bit of the nostalgic rural idyl – neat rows of corn bursting green across the horizon, the glimmer of red capsicums peeking through deeply verdant fields, circles of golden hay tidily surrounding a homely barn. 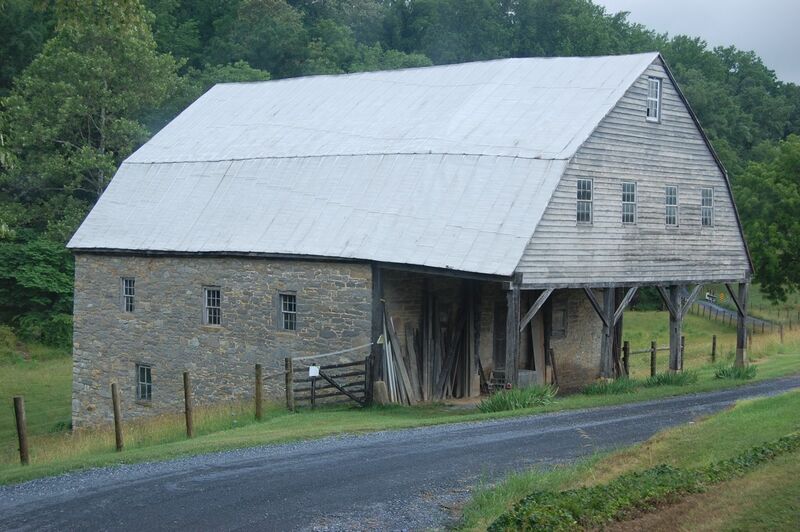 In Pennsylvania, Virginia and North Carolina, it’s the cavernous old barns in varying states of decay or fresh repair, and if the mid-South is barns, Texas is windmills. Yet if you drive through these fields day after day, week after week, and you have your sustainable and fair-trade agricultural lenses on, what you see is monocultures, dead and dying soils, rubbish-strewn poverty in small farming communities and field-workers’ cottages, and pastures decorated with billboards advertising casinos or treatment for Lupus. The Mississippi Delta’s relentless monotony of cornfields made me wonder at the outcry against palm tree plantations in Malaysia, when our own backyard is so untidy. Not that I’m suggesting we shouldn’t protest the destruction of rainforests for monocultures, but that we should scrutinise the practices of our own countries more closely (who, of course, are also hugely reliant on palm oil for the gargantuan processed food industry). In case the monocultures don’t give you a touch of dysphoria, there’s the poverty – from run-down trailers to shotgun shacks held together with little more than a Southern Baptist’s prayers, rural Mississippi (which is pretty much all of Mississippi, the poorest state in the US) is poor – like, Flint, Michigan poor. 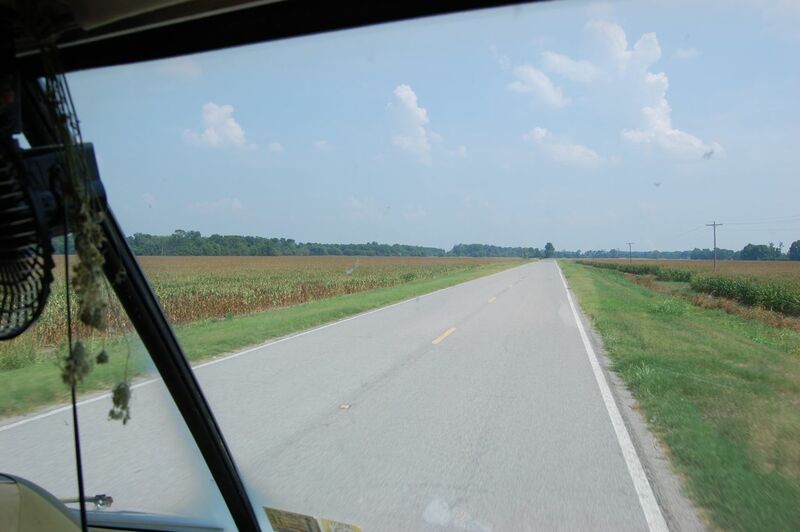 In Mississippi, what really struck me was the exploitation of labour, as it was pretty obvious that it wasn’t the farm owners’ houses we were despairing at. 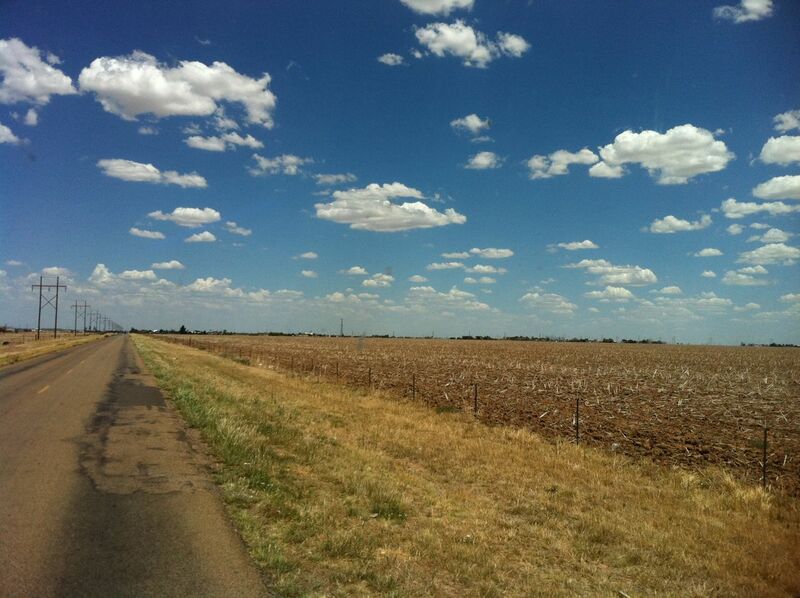 But when you get to west Texas, where broad-acre cotton and wheat dominate the landscape, it gets harder to tell who owns what, and our sense was that the mid-sized family farms were the ones under enormous threat from long-term unsustainable practices and the current drought. There’s spirited debate amongst the farming community here over when they can start calling it of a scale of the Dust Bowl of the 30s, but whether what we’re seeing is that bad or not, it’s very very bad. Whole wheat crops have been ploughed under, cattle sold early, and grain elevators gone bankrupt. Even the rivers have up and left the state. The detritus of industrial agriculture gone wrong is everywhere – from dead soils to deserted farmhouses, the dust devils are closing in. 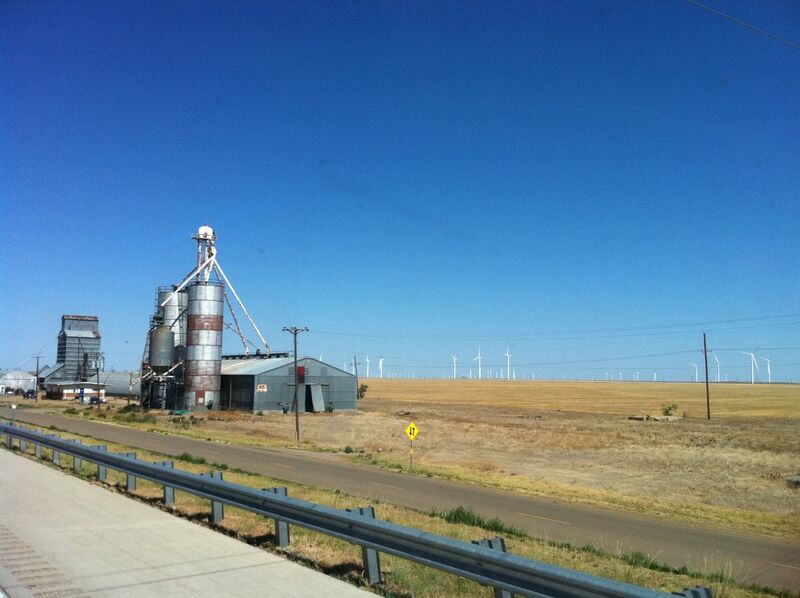 But from wind springs new life, and just across Interstate 40 from the sad and stinking feedlots outside Amarillo are some of Texas’ many wind farms, a hopeful backdrop to the crumbling disasters of industrial agriculture in America’s midwest. 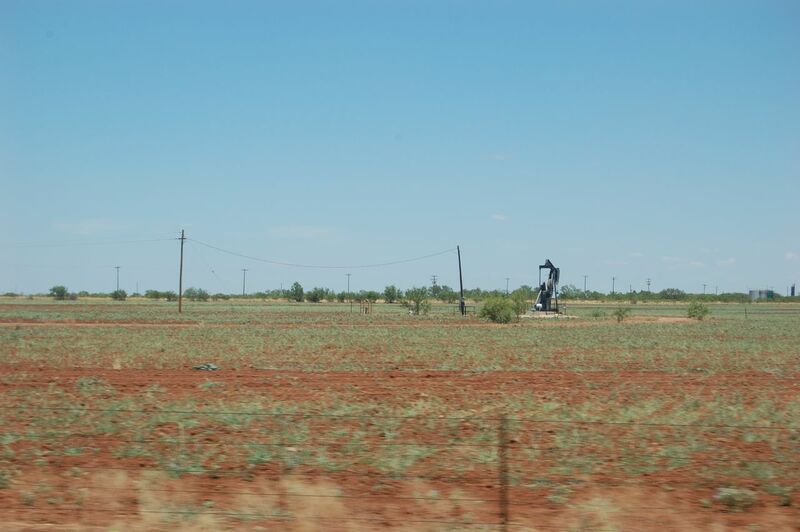 Even the private oil derricks seem relatively harmless as they dredge the last of the land’s lifebloods from under its withering skin. Yet many argue we must have these monolithic systems in order to feed the world. But what that attitude has given us is a system so broken farmers pay enormous sums to Monsanto to grow tens of thousands of acres of Round-Up-Ready corn to feed ruminants who live out their lives in malodorous CAFOs so we can have 24oz steaks on our plates – in Amarillo your super-sized steak is accompanied by the smell of their excrement in the feedlots just west of town. 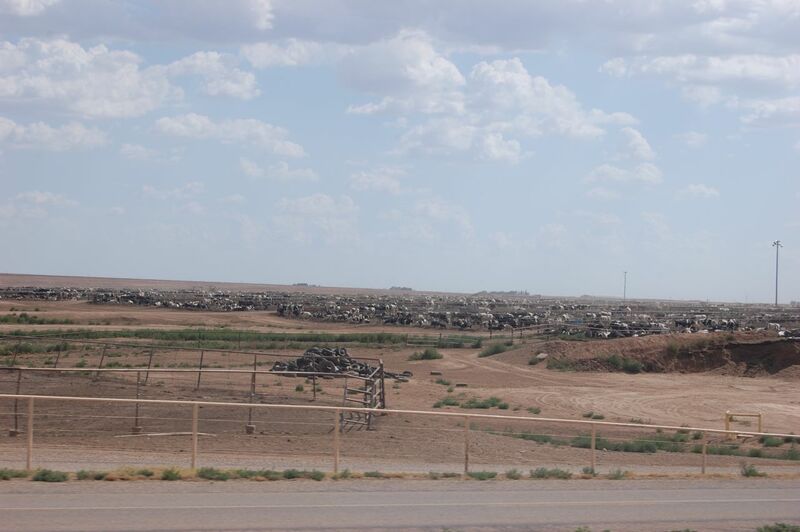 You smell the feedlots many miles before you can see them. And I will point out the obvious – we’re over-feeding the so-called global north, or what used to be called the First World, where now we’re mostly just first in diseases of affluence. In many of America’s supermarkets, you can’t miss the ‘mobility scooters’ as you collect a trolley. The prevalence of obesity in America is no secret, and the majority of those we’ve seen using the scooters have fit the description. I’m not remotely interested in joining others in fat-shaming – I see no shame in obesity, just higher risk for disease and a diminished quality of life. Yet I can’t help but ponder the motive of supermarkets full of 85% highly-processed food in providing mobility scooters for their customers? 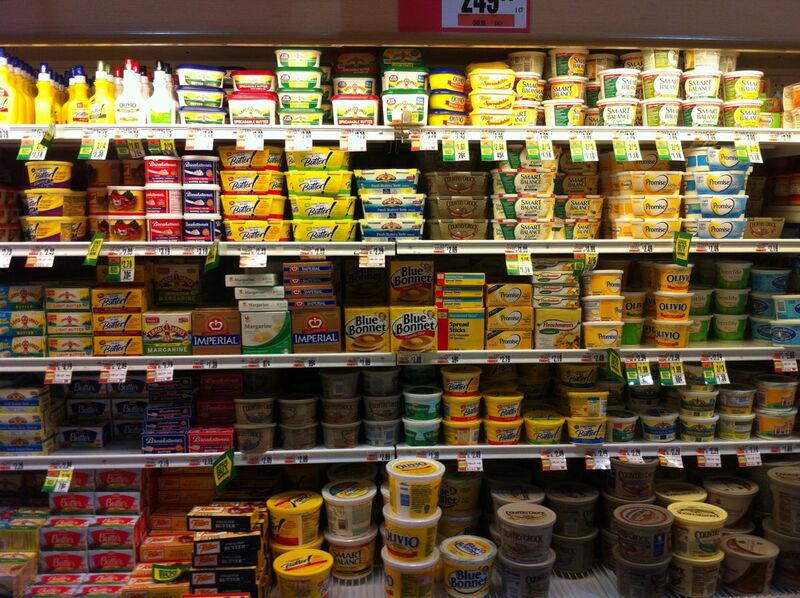 Once inside, you could follow Michael Pollan’s advice and stick to the outer aisles and produce section. And regular readers of my blog will know we go a step further and avoid big chain supermarkets entirely, but for the purposes of research and creativity, we’ve not only gone in, we’ve gone deep. It starts with a game – try to find a food you know in its original form. Butter? No – oh, wait, yes, some. Rice? 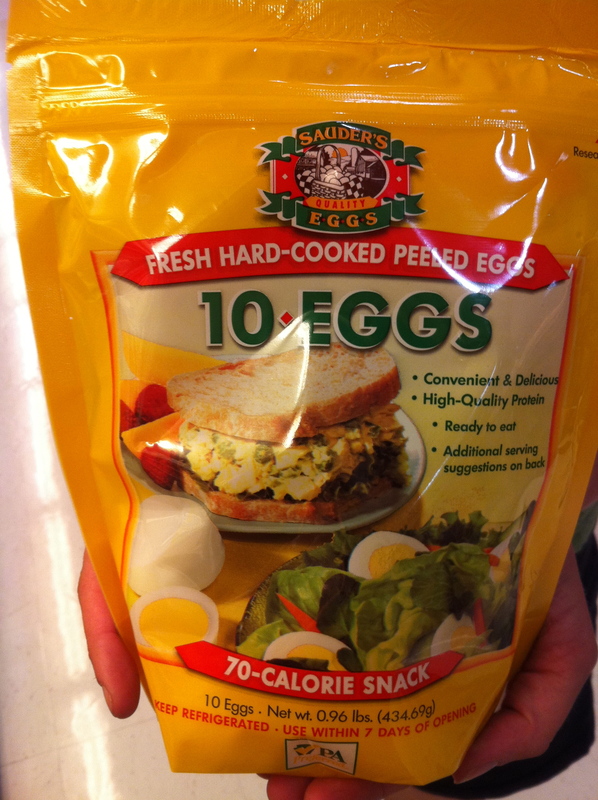 Sure, but almost all instant and flavoured. Cheese? Over there in the dry goods ‘shelf-stable’ area. Yoghurt? Of course, but I hope you don’t mind artificial flavours and sweeteners, and of course you’ll be delighted it’s all fat free. Right, so dairy is fat or even dairy free, rice is instant and ‘value added’, and there are typically 3-4 times as many processed meat products as whole. And that’s mostly around Pollan’s supermarket periphery – you should see what’s in the middle. Oh, you’ve been there? So you know there is nothing whole in the middle – it’s entirely made up of ‘ingredients’ created by the wonders of science to befuddle our senses into thinking it’s actually food, marketed as healthier than what we might grow in our own backyards. The fabulous Zoe recently said on Progressive Dinner Party, ‘I don’t accept that the leap from wheat kernel to bread is the same as the leap from bread to McDonalds‘. It’s not full-cream dairy making you fat, America. 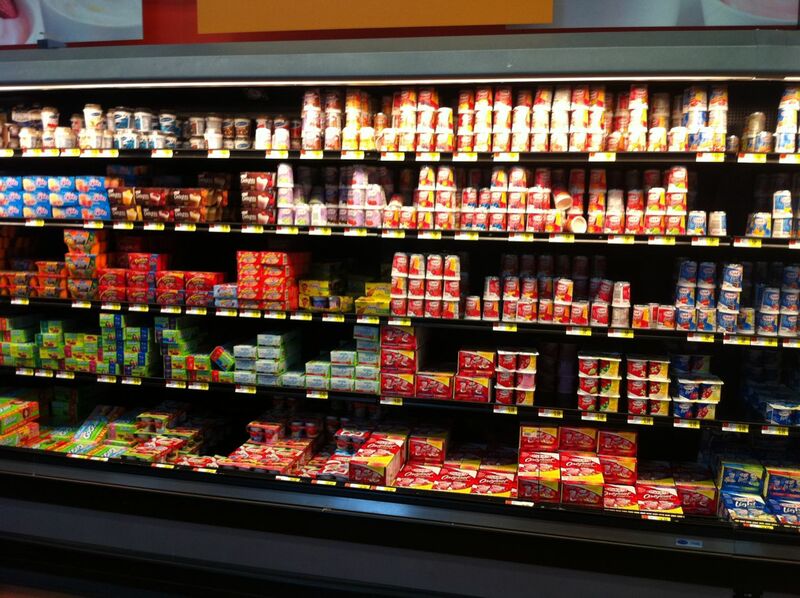 Putting excessive amounts of ‘cheese product’ on highly processed meat products wrapped in highly processed ‘bread’ products served with a side of… well, I don’t know their scientific names… yeah, that and the super-sized sodas and high-sugar cereals, that might make you fat. 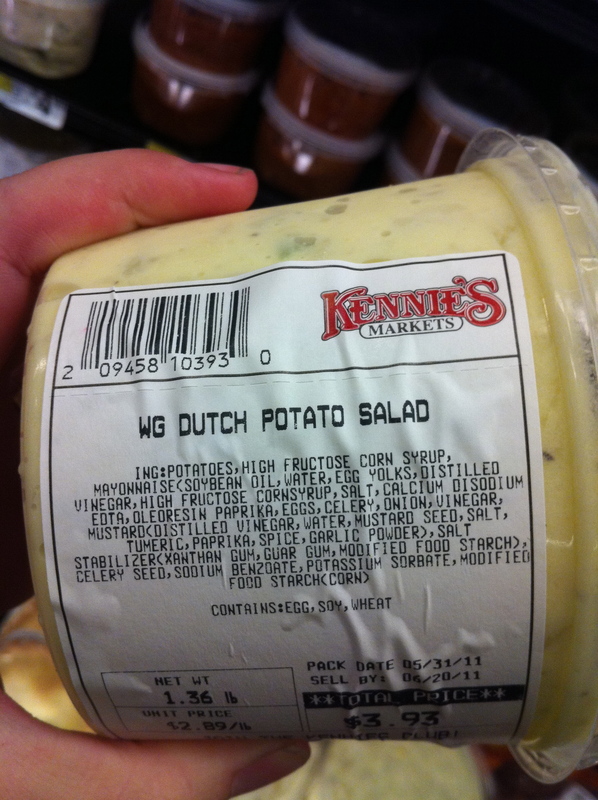 When even the deli potato salad has High Fructose Corn Syrup (HFCS), you’re going to get fat. 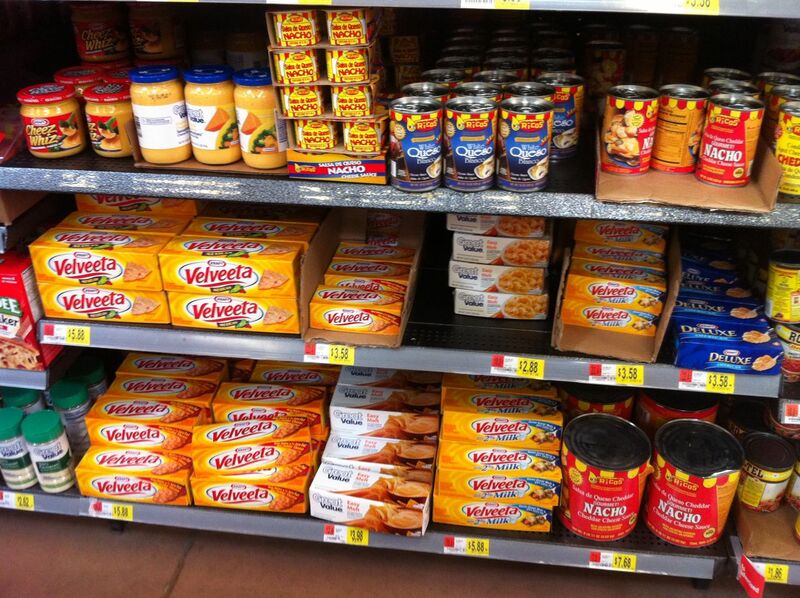 These processed foods will make us all fat while we blind ourselves to the exploitation of workers who grew and harvested the ingredients that made these ‘foods’ whose origins are no longer recognisable nor traceable. Meanwhile, the workers will continue to die the illnesses of poverty and over-exposure to chemicals, and everyone will get fatter and sadder and act like nobody knows why. And more farmers will continue to leave the land because where is the dairy farmer’s dollar in a product so ‘value-added’ by others down the supply chain it’s no longer primarily made from milk anyway? Surely the fact that we can eat at the Silver Diner should make us happy? And not having to grow our own tomatoes, add seasoning to our rice, or fruit to our yoghurt – no need to pop our nachos in the oven to melt the cheese? Isn’t it marvellous that we not only don’t have to bake our own bread, we don’t even have to slice it? Those benevolent corporations will even boil your eggs for you. Industrial agriculture has made all of us so much happier, hasn’t it? I mean, just look at these tomatoes, right? This post is linked to Fight Back Fridays – you should check out some of the other Food Renegade posts!